If Opposition Leader Achuthanandan’s statement was a master stroke, CPI (M) Idukki district secretary M. M. Mani’s speech was a super strike. Mr. Mani surely knew that it would recoil on his party. However, firing at the target was more important. However, the media attention did not turn much attention towards Achuthanandan who was the party State secretary when the political murders mentioned by Mani took place. The media is yet to ask questions whether Mr. Achuthanandan was aware of the murders in Idukki district. If he knew nothing about the list that Mr. Mani said the party had drawn up, what did he do when the serial killings were reported one after another? The damage done to the party by Mani’s speech prompted party State secretary Pinarai Vijayan to call upon leaders to desist from making public statements against party policy, in a bid to restore the truce that did not hold. What is notable is that both Mr. Vijayan and Achuthanandan are now criticising Mani in unison. 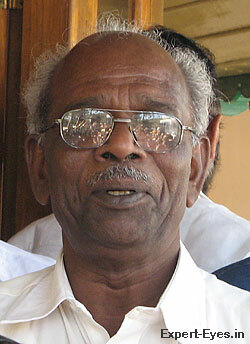 Update (3-6-2012): V. S. Achuthananan has effectively neutralised Mani by visiting the home of slain leader T. P. Chandrasekharan. He has thus identified with the victims. Nobody is asking whether he knew of the serial killings by party men in Idukki district in the eighties. This entry was posted in Kerala, politics and tagged Achuthanandan, CPI (M), murders, Pinarai by Roy Mathew. Bookmark the permalink.